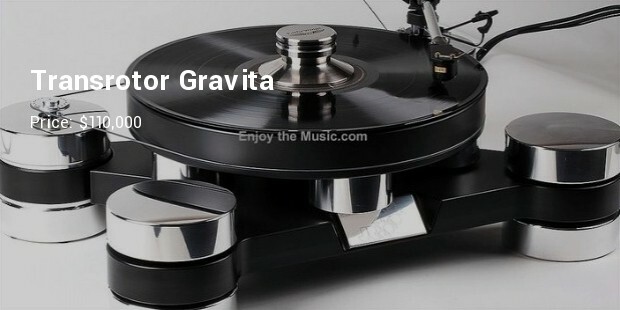 Without any doubts, we have an elite group of people who thinks that the best way to enjoy music is doing it in the old-fashioned way; they use old but high quality and the most expensive turntable of all time. And when paying a huge amount of money for an antiquated technology piece such as a turntable, you will want it to be the only one on the market. Therefore, if you are in the elite class that can afford listening music on ridiculously expensive turntables, the following list will make your purchase work easier. 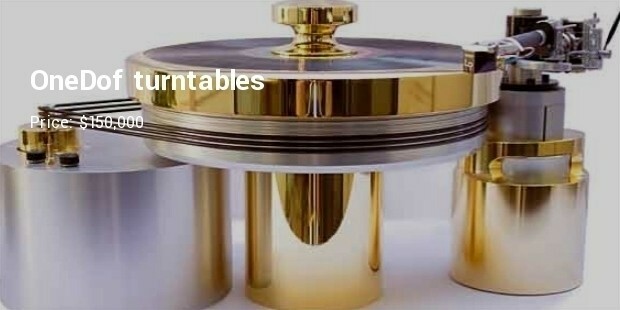 The list highlights the most expensive turntables in the world. 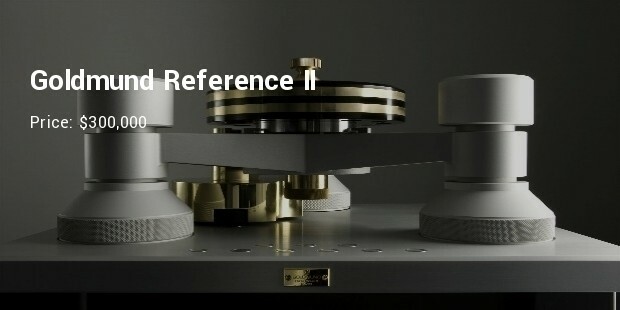 Apparently, Goldmund’s Reference II turntable is the most expensive with a net value of $300,000. Do you think that it is extremely expensive? Possibly, you are wrong. It is just a cheap dream gadget for most music enthusiasts! There are only 25 of this kind on the globe. Basis Audio is another turntable appearing in the list of the most expensive turntables of all time. The gadget guarantees music enthusiasts high quality sound. The turntable built on a simple philosophy of stability and weight uses a self-contained resonance Annihilator that isolates it from vibration. 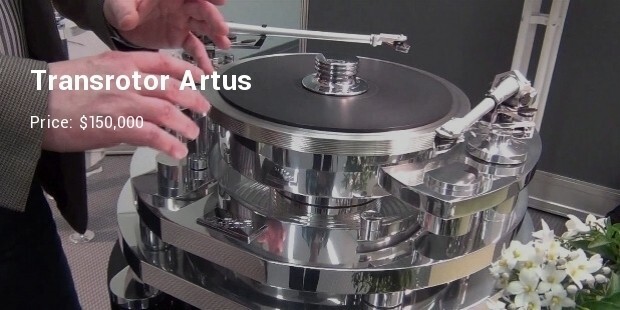 Just like the Basis Audio, the Transrotor Artus has a price tag of $150,000. This turntable is from Transrotor – a Germany company. Transrotor Artus gadget features a contactless magnetic field drive, new electronics and a balanced arm, and it has an approximate weight of 350Kg. Purchasing a turntable is one thing. But the turntable being twice the value of your home is a different thing. 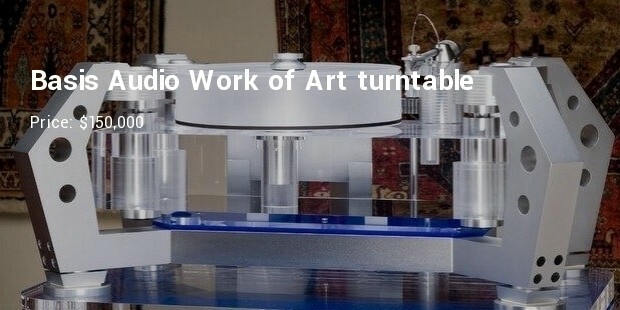 The NASA award winning engineer Aleks Bakman is the designer of OneDof– One degree of freedom – turntable. 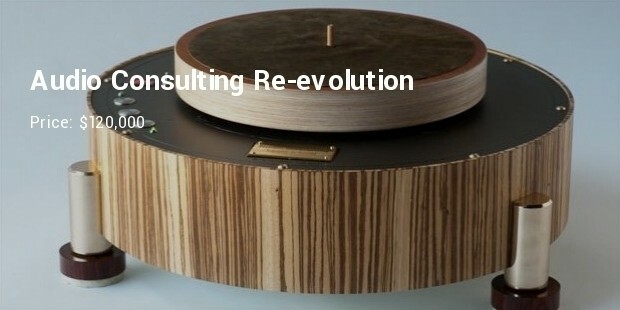 While designing the components of this turntable that has a net value of $150,000, Aleks Bakman generously used gold. Turntables started as simple devices that people used to play music by rotating phonograph records on circular horizontal platforms. 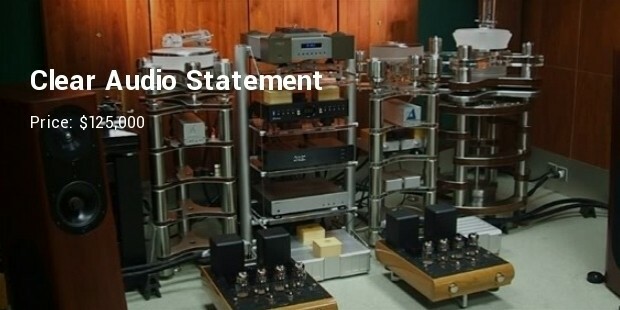 But today, these devices have evolved into musical instruments by themselves and some of them are very expensive such that only a few music enthusiasts can afford them.